I am starting a series of calligraphy pieces in Baybayin script (ancient, Filipino writing system) to examine the meaning and aesthetic of one word or phrase in Tagalog. I am calling the combining of Baybayin alphasyllabic letters into an aesthetic whole, Logographing. 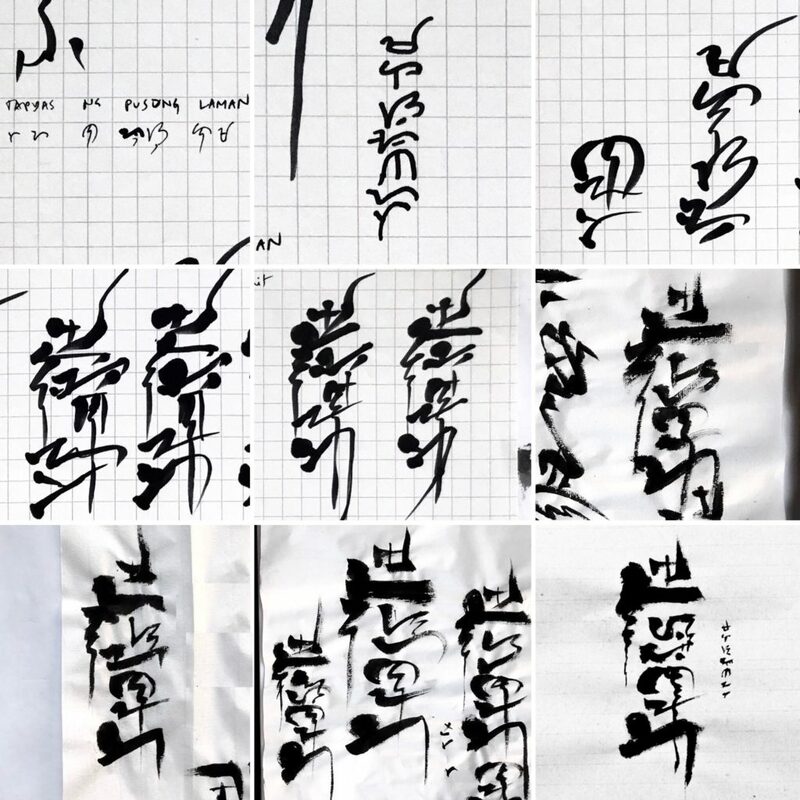 In the Eastern and Western hemispheres, there is a plethora of evidence that calligraphy evolved from copying sacred texts (ie Christianity, Islam, Buddhism, Daoism). 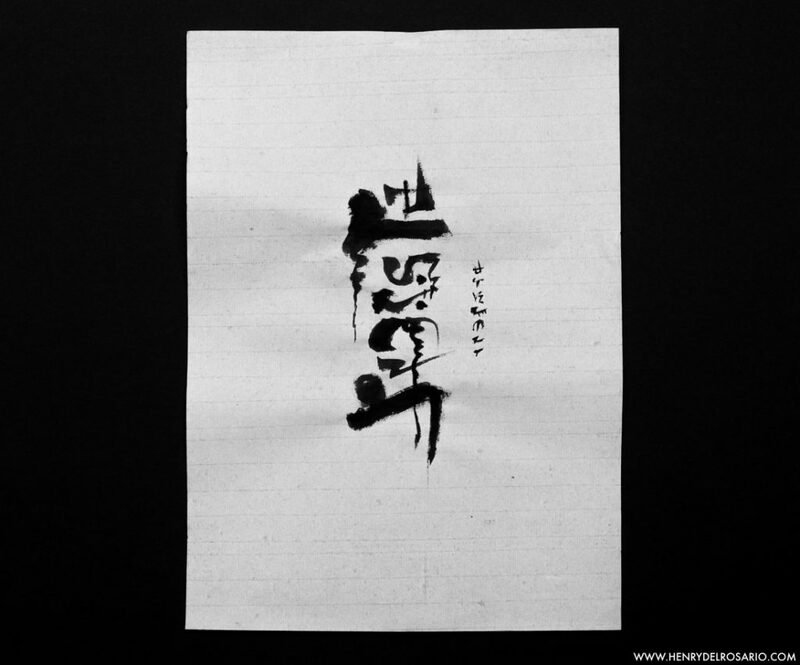 Buddhist monks copied scriptures in large amounts during the early Tang dynasty. These scriptures were revered for two reasons: 1) sacred writing content, and 2) technical and aesthetic form of calligraphy. written on our hearts, to be known and read by all. but on tablets of human hearts. What happens when you do more than just memorize a scripture? What happens when you internalize it? Below are the images of my work from script to Logograph. It’s at once fun to show how aesthetic choices are made, but also important in that art is constantly deconstructing, constructing, deconstructing, and reconstructing. Moreover, to experiment well involves transparency in trial and error. Transforming “tapyas ng pusong laman” (tablets of human hearts; ᜆᜌᜈᜉᜓᜐᜓᜎᜋ) from Baybayin script to logograph. You can even see my mistakes: I sometimes forget the “so” letter (ᜐᜓ) or the kudlits. As I meditate and write “tapyas ng pusong” with ink on paper, I am at also writing it in my heart, and at once being written by a Spirit; at once reading the words, and at once reading myself. Technically the bible verse is a phrase, so if you consider the final piece as a whole, it is more like an ideograph (logically then I was “ideographing!”).